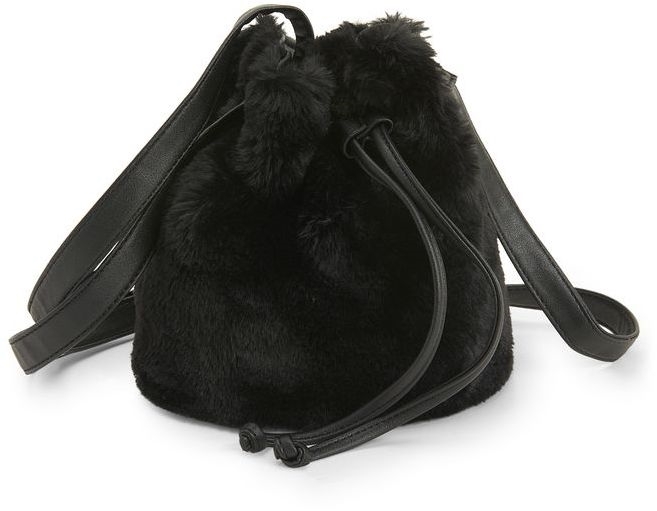 You're gonna fall hard for our seriously adorable Fuzzy Mini Bucket Bag! Roomy enough for just the essentials, this on-trend accessory boasts two interior slip pockets, a touchably soft exterior, an adjustable shoulder strap and a cinchable top to keep your stuff secure. D 6.25" x H 7.5"